Currently thinking about some foundational issues. Of course, AI remains a big focus. New paper: "The Vulnerable World Hypothesis". Also giving some talks. For more, see e.g. New Yorker profile, Bio, CV. FHI will grow over the coming year, having just received a £13.3m gift (the largest of its kind ever to the Humanities in Oxford - though only a small part of our work is actually in the 'humanities' - most being maths, computer science, political science, etc.). We will be recruiting for a number of positions (researchers both junior and senior, management, operations, intern-like roles, and DPhil Scholarships). What properties should we want a proposal for an AI governance pathway to have? Recounts the Tale of a most vicious Dragon that ate thousands of people every day, and of the actions that the King, the People, and an assembly of Dragonologists took with respect thereto. We present a heuristic for correcting for one kind of bias (status quo bias), which we suggest affects many of our judgments about the consequences of modifying human nature. We apply this heuristic to the case of cognitive enhancements, and argue that the consequentialist case for this is much stronger than commonly recognized. An analysis of the global desirability of different forms of openness (including source code, science, data, safety techniques, capabilities, and goals). Cosmology shows that we might well be living in an infinite universe that contains infinitely many happy and sad people. Given some assumptions, aggregative ethics implies that such a world contains an infinite amount of positive value and an infinite amount of negative value. But you can presumably do only a finite amount of good or bad. Since an infinite cardinal quantity is unchanged by the addition or subtraction of a finite quantity, it looks as though you can't change the value of the world. Aggregative consequentialism (and many other important ethical theories) are threatened by total paralysis. We explore a variety of potential cures, and discover that none works perfectly and all have serious side-effects. Is aggregative ethics doomed? In cases where several altruistic agents each have an opportunity to undertake some initiative, a phenomenon arises that is analogous to the winner's curse in auction theory. To combat this problem, we propose a principle of conformity. It has applications in technology policy and many other areas. Does human enhancement threaten our dignity as some have asserted? Or could our dignity perhaps be technologically enhanced? After disentangling several different concepts of dignity, this essay focuses on the idea of dignity as a quality (a kind of excellence admitting of degrees). The interactions between enhancement and dignity as a quality are complex and link into fundamental issues in ethics and value theory. Brief paper, critiques a host of bioconservative pundits who believe that enhancing human capacities and extending human healthspan would undermine our dignity. Original essays by various prominent moral philosophers on the ethics of human enhancement. Overview of ethical issues raised by the possibility of creating intelligent machines. Questions relate both to ensuring such machines do not harm humans and to the moral status of the machines themselves. Some cursory notes; not very in-depth. Short article summarizing some of the key issues and offering specific recommendations, illustrating the opportunity and need for "smart policy": the integration into public policy of a broad-spectrum of approaches aimed at protecting and enhancing cognitive capacities and epistemic performance of individuals and institutions. A review/commentary on The Fountain of Youth (OUP, 2004). After some definitions and conceptual clarification, I argue for two theses. First, some posthuman modes of being would be extremely worthwhile. Second, it could be good for human beings to become posthuman. The good life: just how good could it be? A vision of the future from the future. The revised version 2.1. The document represents an effort to develop a broadly based consensus articulation of the basics of responsible transhumanism. Some one hundred people collaborated with me in creating this text. Wonderful ways of being may be located in the "posthuman realm", but we can't reach them. If we enhance ourselves using technology, however, we can go out §there and realize these values. This paper sketches a transhumanist axiology. The human desire to acquire new capacities, to extend life and overcome obstacles to happiness is as ancient as the species itself. But transhumanism has emerged gradually as a distinctive outlook, with no one person being responsible for its present shape. Here's one account of how it happened. Is there a level of technology at which civilization gets destroyed by default? Discusses the Fermi paradox, and explains why I hope we find no signs of life, whether extinct or still thriving, on Mars or anywhere else we look. Existential risks are those that threaten the entire future of humanity. This paper elaborates the concept of existential risk and its relation to basic issues in axiology and develops an improved classification scheme for such risks. It also describes some of the theoretical and practical challenges posed by various existential risks and suggests a new way of thinking about the ideal of sustainability. Examines the risk from physics experiments and natural events to the local fabric of spacetime. Argues that the Brookhaven report overlooks an observation selection effect. Shows how this limitation can be overcome by using data on planet formation rates. This paper discusses four families of scenarios for humanity’s future: extinction, recurrent collapse, plateau, and posthumanity. 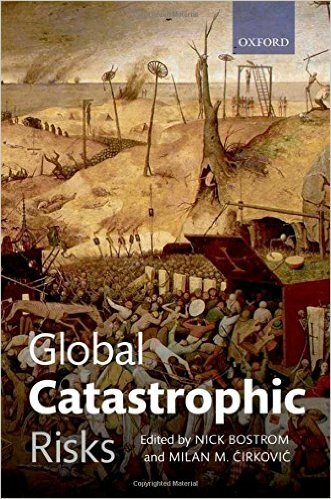 Twenty-six leading experts look at the gravest risks facing humanity in the 21st century, including natural catastrophes, nuclear war, terrorism, global warming, biological weapons, totalitarianism, advanced nanotechnology, general artificial intelligence, and social collapse. The book also addresses over-arching issues—policy responses and methods for predicting and managing catastrophes. Foreword by Lord Martin Rees. This paper explores some dystopian scenarios where freewheeling evolutionary developments, while continuing to produce complex and intelligent forms of organization, lead to the gradual elimination of all forms of being worth caring about. We then discuss how such outcomes could be avoided and argue that under certain conditions the only possible remedy would be a globally coordinated effort to control human evolution by adopting social policies that modify the default fitness function of future life forms. Technological revolutions are among the most important things that happen to humanity. This paper discusses some of the ethical and policy issues raised by anticipated technological revolutions, such as nanotechnology. Existential risks are ways in which we could screw up badly and permanently. Remarkably, relatively little serious work has been done in this important area. The point, of course, is not to welter in doom and gloom but to better understand where the biggest dangers are so that we can develop strategies for reducing them. Information hazards are risks that arise from the dissemination or the potential dissemination of true information that may cause harm or enable some agent to cause harm. Such hazards are often subtler than direct physical threats, and, as a consequence, are easily overlooked. They can, however, be important. Concept describing a kind of social structure. The embryo selection during IVF can be vastly potentiated when the technology for stem-cell derived gametes becomes available for use in humans. This would enable iterated embryo selection (IES), compressing the effective generation time in a selection program from decades to months. Some have argued that because blind evolutionary processes produced human intelligence on Earth, it should be feasible for clever human engineers to create human-level artificial intelligence in the not-too-distant future. We evaluate this argument. Human beings are a marvel of evolved complexity. Such systems can be difficult to enhance. 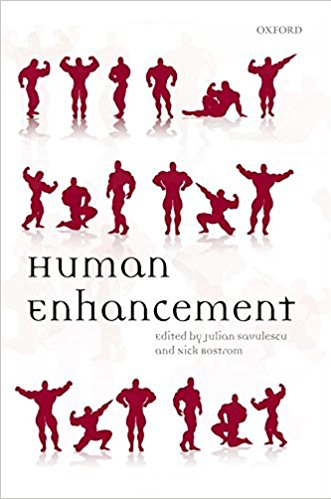 Here we describe a heuristic for identifying and evaluating the practicality, safety and efficacy of potential human enhancements, based on evolutionary considerations. Presents two theses, the orthogonality thesis and the instrumental convergence thesis, that help understand teh possible range of behavior of superintelligent agents - also pointing to some potential dangers in building such an agent. A 130-page report on the technological prerequisites for whole brain emulation (aka "mind uploading"). Cognitive enhancements in the context of converging technologies. Some new ideas related to the challenge of endowing a hypothetical future superintelligent AI with values that would cause it to act in ways that are beneficial. Paper is somewhat obscure. Game theory model of a technology race to develop AI. Participants skimp on safety precautions to get there first. Analyzes factors that determine level of risk in the Nash equilibrium. Preliminary survey of various issues related to the idea of using boxing methods to safely contain a superintelligent oracle AI. Cognitive enhancement comes in many diverse forms. In this paper, we survey the current state of the art in cognitive enhancement methods and consider their prospects for the near-term future. We then review some of ethical issues arising from these technologies. We conclude with a discussion of the challenges for public policy and regulation created by present and anticipated methods for cognitive enhancement. 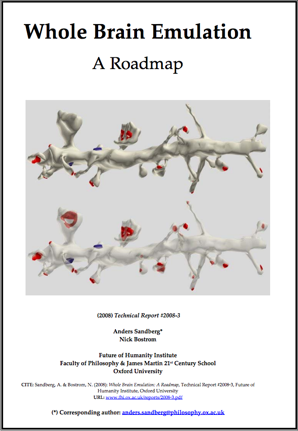 This paper argues that at least one of the following propositions is true: (1) the human species is very likely to go extinct before reaching the posthuman stage; (2) any posthuman civilization is extremely unlikely to run significant number of simulations or (variations) of their evolutionary history; (3) we are almost certainly living in a computer simulation. It follows that the naïve transhumanist dogma that there is a significant chance that we will one day become posthumans who run ancestor-simulations is false, unless we are currently living in a simulation. A number of other consequences of this result are also discussed. [Philosophical Quarterly, Vol. 53, No. 211 (2003): 243-255] [pdf] [html] [Also with a Reply to Brian Weatherson's comments [Philosophical Quarterly, Vol. 55, No. 218 (2009): 90-97]; and a Reply to Anthony Brueckner, [Analysis, Vol. 69, No. 3 (2009): 458-461]. And a new paper w/ Marcin Kulczycki [Analysis, Vol. 71, No.1 (2011): 54-61]. Superintelligence is now out in paperback. Buy many copies now! 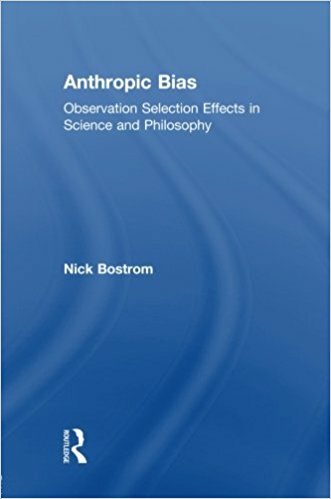 Failure to consider observation selection effects result in a kind of bias that infest many branches of science and philosophy. This book presented the first mathematical theory for how to correct for these biases. 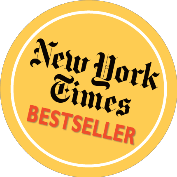 It also discusses some implications for cosmology, evolutionary biology, game theory, the foundations of quantum mechanics, the Doomsday argument, the Sleeping Beauty problem, the search for extraterrestrial life, the question of whether God exists, and traffic planning. Current cosmological theories say that the world is so big that all possible observations are in fact made. But then, how can such theories be tested? What could count as negative evidence? To answer that, we need to consider observation selection effects. Summary of some of the difficulties that a theory of observation selection effects faces and sketch of a solution. An advanced Introduction to observation selection theory and its application to the cosmological fine-tuning problem. Argues against Olum and the Self-Indication Assumption. Have Korb and Oliver refuted the doomsday argument? No. On the Doomsday argument and related paradoxes. The Doomsday argument purports to prove, from basic probability theory and a few seemingly innocuous empirical premises, that the risk that our species will go extinct soon is much greater than previously thought. My view is that the Doomsday argument is inconclusive - although not for any trivial reason. In my book, I argued that a theory of observation selection effects is needed to explain where it goes wrong. The Sleeping Beauty problem is an important test stone for theories about self-locating belief. I argue against both the traditional views on this problem and propose a new synthetic approach. Argues against George Sower's refutation of the doomsday argument, and outlines what I think is the real flaw. Examines the implications of recent evidence for a cosmological constant for the prospects of indefinite information processing in the multiverse. Co-authored with Milan M. Cirkovic. If two brains are in identical states, are there two numerically distinct phenomenal experiences or only one? Two, I argue. But what happens in intermediary cases? This paper looks in detail at this question and suggests that there can be a fractional (non-integer) number of qualitatively identical experiences. This has implications for what it is to implement a computation and for Chalmer's Fading Qualia thought experiment. A self-undermining variant of the Newcomb problem. Finite version of Pascal's Wager. 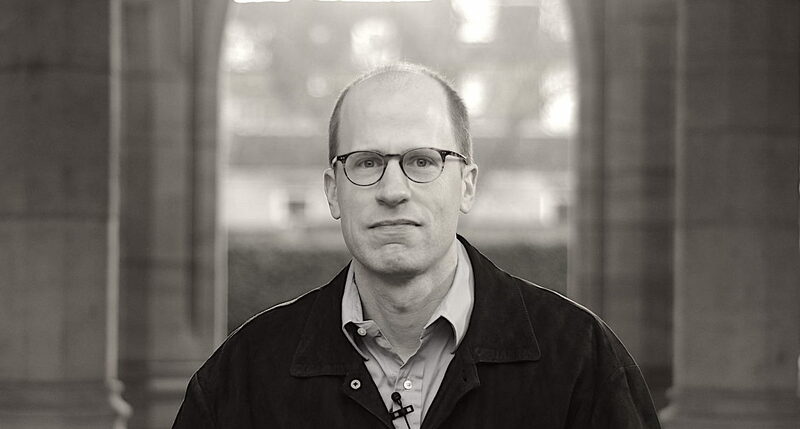 Nick Bostrom is Swedish-born philosopher and polymath with a background in theoretical physics, computational neuroscience, logic, and artificial intelligence, as well as philosophy. He is Professor at Oxford University, where he leads the Future of Humanity Institute as its founding director. (The FHI is a multidisciplinary university research center; it is also home to the Center for the Governance of Artificial Intelligence and to teams working on AI safety, biosecurity, macrostrategy, and various other technology or foundational questions.) He is the author of some 200 publications, including Anthropic Bias (2002), Global Catastrophic Risks (2008), Human Enhancement (2009), and Superintelligence: Paths, Dangers, Strategies (2014), a New York Times bestseller which helped spark a global conversation about artificial intelligence. Bostrom’s widely influential work, which traverses philosophy, science, ethics, and technology, has illuminated the links between our present actions and long-term global outcomes, thereby casting a new light on the human condition. He is recipient of a Eugene R. Gannon Award, and has been listed on Foreign Policy’s Top 100 Global Thinkers list twice. He was included on Prospect’s World Thinkers list, the youngest person in the top 15. His writings have been translated into 28 languages, and there have been more than 100 translations and reprints of his works. He is a repeat TED speaker and has done more than 2,000 interviews with television, radio, and print media. As a graduate student he dabbled in stand-up comedy on the London circuit, but he has since reconnected with the doom and gloom of his Swedish roots. For more background, see profiles in e.g. The New Yorker or Aeon. My interests cut across many disciplines and may therefore at the surface appear somewhat scattered, but they all reflect a desire to figure out how to orient ourselves with respect to important values. I refer to this as “macrostrategy”: the study of how long-term outcomes for humanity may be connected to present-day actions. My research seeks to contribute to this by answering particular sub-questions or by developing conceptual tools that help us think about such questions more clearly. A key part of the challenge is often to notice that a problem even exists---to find it, formulate it, and then make enough initial progress in understanding it to let us break it into more tractable components and research tasks. Much of my work (and that of the Future of Humanity Institute) operates in such a pre-paradigm environment. We tend to work on problems that the rest of academia ignores either because the problems are not yet recognized as important or because it is unclear how one could conceivably go about doing research on them; and we try to advance understanding of them to the point where it becomes possible for a larger intellectual community to engage with them productively. For example, a few years ago, AI alignment fell into this category: hardly anybody thought it was important, and it seemed like the kind of thing a science fiction author might write novels about but that there was no way to study scientifically. By now, it has emerged as a bona fide research field, with people writing code and equations and making incremental progress. Significant cognitive work was required to get to this point. I have also originated or contributed to the development of ideas such as the simulation argument, existential risk, transhumanism, information hazards, superintelligence strategy, astronomical waste, crucial considerations, observation selection effects in cosmology and other contexts of self-locating belief, anthropic shadow, the unilateralist’s curse, the parliamentary model of decision-making under normative uncertainty, the notion of a singleton, the vulnerable world hypothesis, along with a number of analyses of future technological capabilities and concomitant ethical issues, risks, and opportunities. Technology is a theme in much of my work (and that of the FHI) because it is plausible that the long-term outcomes for our civilization depend sensitively on how we handle the introduction of certain transformative capabilities. Machine intelligence, in particular, is a big focus. We also work on biotechnology (both for its human enhancement applications and because of biosecurity concerns), nanotechnology, surveillance technology, and a bunch of other potential developments that could alter fundamental parameters of the human condition. There is a “why” beyond mere curiosity behind my interest in these questions, namely the hope that insight here may produce good effects. In terms of directing our efforts as a civilization, it would seem useful to have some notion of which direction is “up” and which is “down”—what we should promote and what we should discourage. Yet regarding macrostrategy, the situation is far from obvious. We really have very little clue which of the actions available to present-day agents would increase or decrease the expected value of the long-term future, let alone which ones would do so the most effectively. In fact, I believe it is likely that we are overlooking one or more crucial considerations: ideas or arguments that might plausibly reveal the need for not just some minor course adjustment in our endeavours but a major change of direction or priority. If we have overlooked even just one such crucial consideration, then all our best efforts might be for naught—or they might even be making things worse. Those seeking to make the world better should therefore take it as important to get to the bottom of these matters, or else to find some way of dealing wisely with our cluelessness if it is inescapable. The FHI works closely with the effective altruism community (e.g., we share office space with the Center for Effective Altruism) as well as with AI leaders, philanthropic foundations, and other policymakers, scientists, and organizations to ensure that our research has impact. These communication efforts are sometimes complicated by information hazard concerns. Although many in the academic world take it as axiomatic that discovering and publishing truths is good, this assumption may be incorrect; certainly it may admit of exceptions. For instance, if the world is vulnerable in some way, it may or may not be desirable to describe the precise way it is so. I often feel like I’m frozen in an ice block of inhibition because of reflections of this sort. How much easier things would be if one could have had a guarantee that all one’s outputs would be either positive or neutral, and one could go full blast! www.simulation-argument.com—Devoted to the question, "Are you living in a computer simulation?" The Doomsday Invention: Will artificial intelligence bring us utopia or destruction? A long-form feature profile of me, by Raffi Khatchadourian. 15-minute audio interview explaining the simulation argument. 15-minute interview about status quo bias in bioethics, and the "reversal test" by which such bias might be cured. Covering Future of Humanity Institute, crucial considerations, existential risks, information hazards, and academic specialization. Interviewed by Prof. Dave Levine, KZSU-FM. Interviewed by Martin Eiermann about existential risks, genetic enhancements, and ethical discourses about technological progress. On the future of "human identity" in relation to information and communication technologies, automation and robotics, and biotechnology and medicine. Summarizing some of the key issues and offering policy recommendations for a "smart policy" on biomedical methods of enhancing cognitive performance. Humans will not always be the most intelligent agents on Earth, the ones steering the future. What will happen to us when we no longer play that role, and how can we prepare for this transition? Those who seek the advancement of science should focus more on scientific research that facilitates further research across a wide range of domains—particularly cognitive enhancement. Short letter to the editor on obstacles to the development of better cognitive enhancement drugs. Fictional interview of an uploaded dog by Larry King. A poetry cycle... in Swedish, unfortunately. I stopped writing poetry after this, although I've had a few relapses in the English language. According to Francis Fukuyama, yes. This is my response. Review of Kwame Anthony Appiah's book "Experiments in Ethics". This paper, now a few years old, examines how likely it might be that we will develop superhuman artificial intelligence within the first third of this century. This slightly more recent (but still obscolete) article briefly reviews the argument set out in the previous one, and notes four immediate consequences of human-level machine intelligence. Response to 2008 Edge Question: "What have you changed your mind about?" Response to 2009 Edge Question: "What will change everything?" Response to 2010 Edge Question: "How has the Internet changing the way you think?" Short article on existential risks. Response to 2011 Edge Question: "What scientific concept would improve everybody's cognitive toolkit?"